YES WE DO CUSTOM ORDERS! If you have a specific fly or hatch in mind let me know. The flies in my catalog are just a start of what I can do for you. 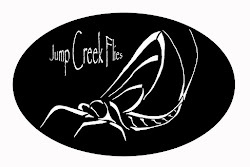 Always feel free to call (208-649-4232) or email me (b.sorenson@jumpcreekflies.com) to discuss your specific needs. This pattern is a custom prototype I am working on with a customer of mine who fishes the Frying Pan River in Colorado. There is a hatch of Pinkish PMD's there, and this was one pattern we came up with for him, blending some PMD, and Pink Cahill dubbing to get the color you see here. 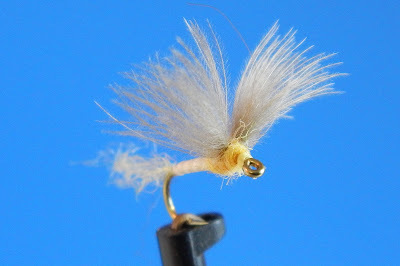 I also like this pattern with the Split CDC wings. It reminds me of a no hackle, and I often tie it with a forked tail to give a more realistic dun look to the fly. I really enjoy custom patterns and tying to meet customers specific needs. 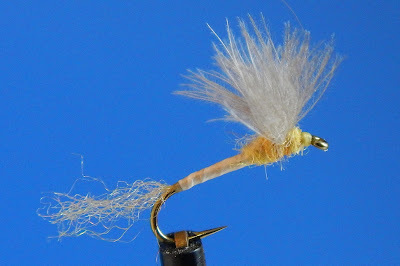 So if you have a certain hatch on your water you want me to take a shot at let me know, and we will see what we can do.